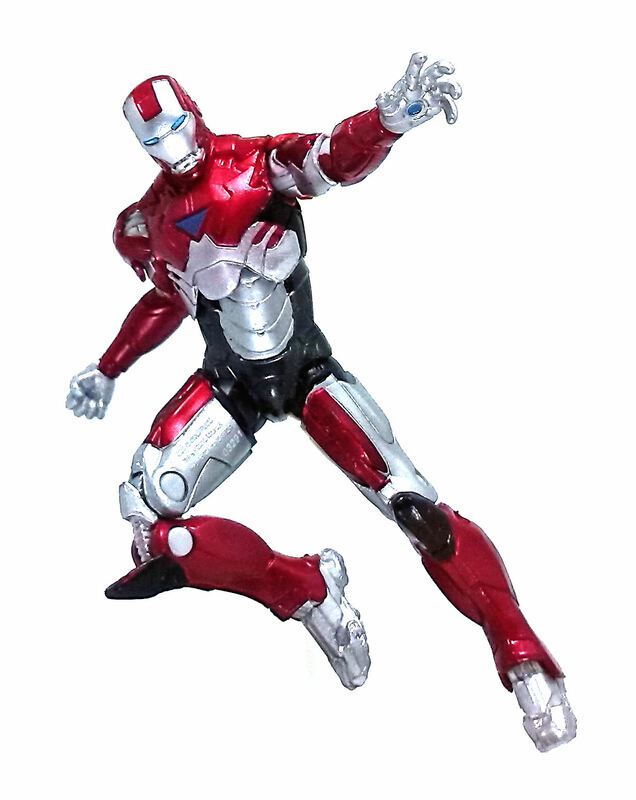 This figure was released a couple of years ago in the tail end of the Iron Man 2 action figure line by Hasbro. 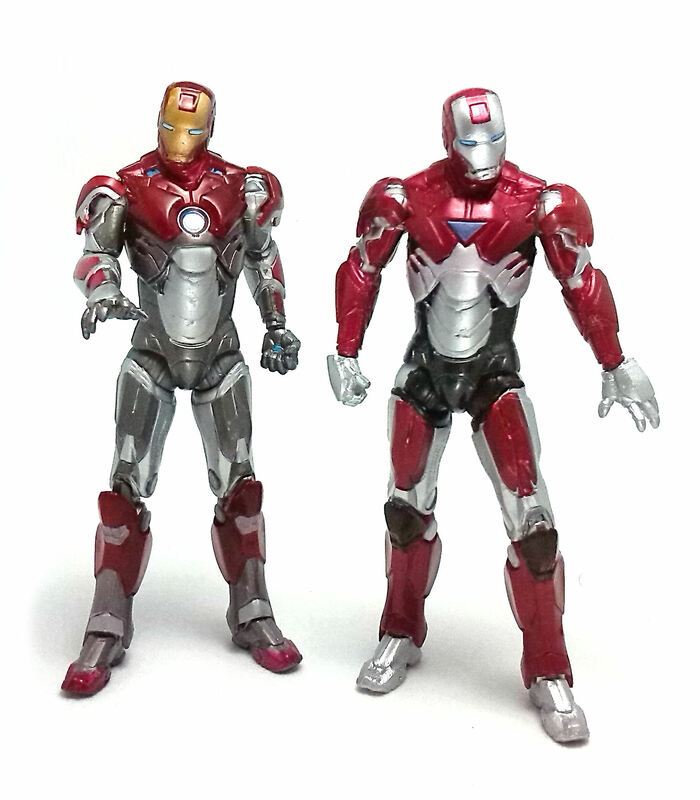 The Avengers movie was to be released in just a few months after these figures hit the streets, but wanting to capitalize in the Avengers craze, Hasbro renamed the line as Iron Man: The Armored Avenger, with only minor changes to the packaging. 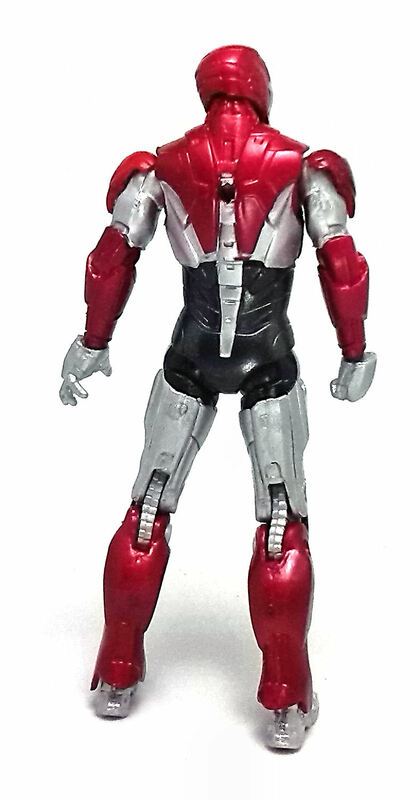 Exosphere Armor Iron Man is, fundamentally, a repaint of the Mark VI armor we got in the first few waves from the Iron Man 2 line. Surprisingly, the more recent figure shows no sign of mold degradation, with the sculpted details on the armor looking as nice and sharp as ever. This was pretty impressive back in 2010 and it certainly trumps anything Hasbro has done in the 4-inch Marvel lines in 2013. The thing that sets apart this version of the Iron Man suit is the paintjob, of course. The Exosphere Armor is painted primarily in red, silver and black in roughly the same proportions, There are smaller details picked out in other hues, like the blue paint applications on the chest reactor, the repulsor port on the left hand and both eyes. All of the decorations are applied very neatly, and each of the main colors shows pretty good coverage. The only section where I can see some color bleeding is in the upper torso, where the silver section has a very slight reddish tinge. 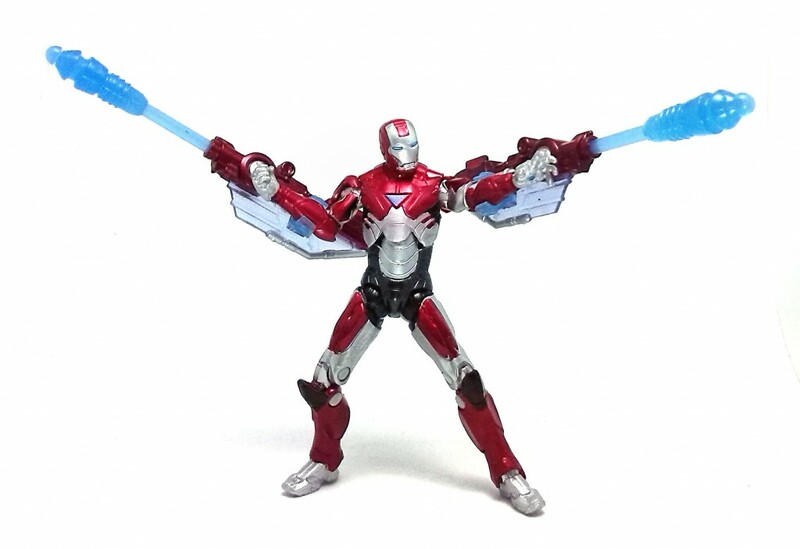 Exosphere Armor Iron Man comes with a pair of projectiles made of blue translucent material and the corresponding launchers that can be clipped to his forearms. Each of these weapon accessories has a rotating C-clip made from translucent blue plastic and is decorated in red and silver. These launchers are relatively compact and were designed without a traditional trigger mechanisms, so you have to put the projectile in, pull it from behind the weapon against the inner spring and let go to shoot the missile. Even though this approach is not suitable for precision shots, the gimmick does work as intended, and even if that was not the case the launchers could pass for disposable rocket boosters, adding play value to this toy. 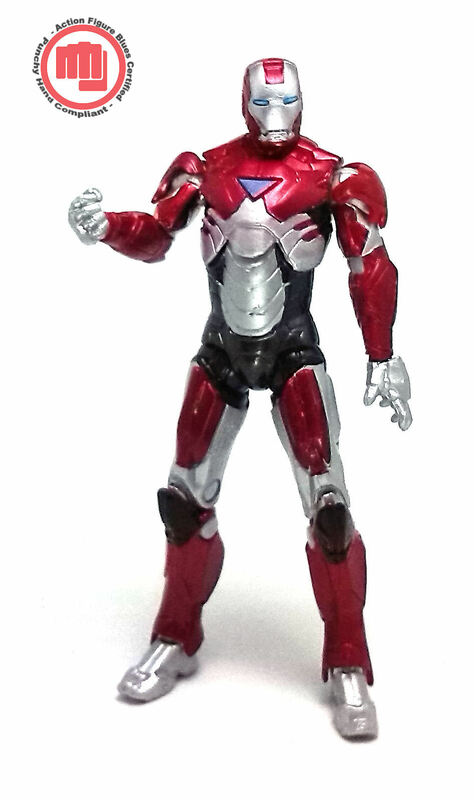 Overall, I am pretty satisfied with the Exosphere Armor Iron Man. I liked the color scheme very much and the articulation is all I could ever ask for.